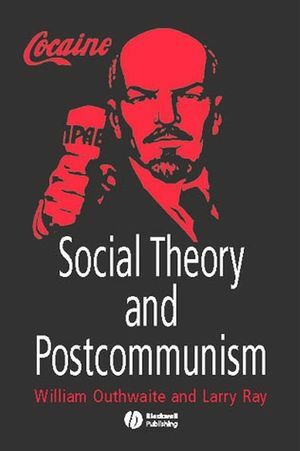 Social Theory and Postcommunism undertakes a thorough study of the implications of post-communism for sociological theory. Written by two leading social theorists, the book discusses the thesis that the fall of communism has decimated alternative conceptions of social organizations other than capitalism. William Outhwaite is Professor of Sociology at the University of Sussex. His recent publications include The Sociology of Politics (co-edited with Luke Martell, 1998) and The Blackwell Dictionary of Modern Social Thought (Blackwell 2002). He also acts as Associate Editor of the European Journal of Social Theory. Larry Ray is Professor of Sociology at the University of Kent. He has recently published Theorizing Classical Sociology (1999) and Key Contemporary Social Theorists (co-edited with Anthony Elliott, Blackwell 2002). He has done extensive work and research on the crisis and transformation of postcommunist societies. Introduction: Being Taken By Surprise. 1 Theory After the Fall. 2 Class: Marx and Weber. 3 Society, Solidarity and Anomie: Durkheim. 4 Three Types of Convergence. 5 Socialism, modernity and beyond. 7 Civil Society East and West. 8 Modernity, memory and postcommunism.